For sale new platinum custom natural Ceylon sapphire ring containing a cushion cut natural vivid blue sapphire measuring 9.29 x 7.42 x 6.72 mm weighing 4.12 carat. Type II. medium, strong, blue color GIA B 5/5, set with 88 Round brilliant cut diamonds with a weight 1.04 ct's VS clarity, G-H color. Sapphire GIA certified please see pictures. Outstanding vivid blue cushion cut natural ceylon sapphire which carries a perfect level of saturation matched by this sapphires tone gives off this stunning bright vivid blue hue with the highest gemstone grade given at GIA B 5/5 with no other colors outside pure blue. This sapphire has being set perfectly by our master jeweler into this custom diamond ring set with a total of 88 round brilliant cut diamonds with a diamond weight 1.04 carats all with VS clarity and G to H color as both a halo around this sapphire as well as down both sides of the ring shank. This platinum sapphire ring has being finished off to the finest of details including hand carvings on the side of the ring shank along with the raised halo making this setting a excellent choice for a sapphire engagement ring or a extravagant gift to mark that anniversary. 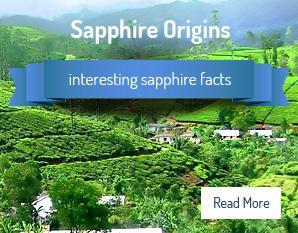 We buy all of our sapphires directly from our own office in Sri Lanka (Ceylon) allowing us to offer these stunning natural sapphire custom rings at wholesale prices or less. Please contact us with any questions you have on this or any of our custom ceylon sapphire ring, we open 7 days a week & always happy to help at 727 797 0007 ref SKU 3227. Beautiful 4.12 ct natural cushion cut vivid blue Ceylon sapphire set into custom made platinum & diamond ring carrying 88 round brilliant cut diamonds at 1.04 carats with VS-1 to VS-2 clarity G-H color , this sapphire carries the highest color grade given to a gemstone with no secondary colors outside pure blue hue. Set with halo of diamonds as well as down both sides of the ring shank with hand carving giving this ring its vintage look with a raised halo makes this a perfect platinum sapphire engagement ring for sale wholesale price. This sapphire carries an excellent cut, polish along with vivid blue hue coupled with perfect saturation giving this stones its beautiful luster making this one of the most stunning custom sapphire rings we have for sale at low wholesale price.Please view the independent gemology report and appraisal with this listing as well as the HD video and pictures. We do not use any photo shop software when taking our pictures & video allowing you to see the setting in a honest true setting - unique custom ring setting to Sapphire Ring Co.Please contact us with any question at any time you have.Please view the HD video and pictures shown in this listing along with the GIA report and GIA G. G appraisal.